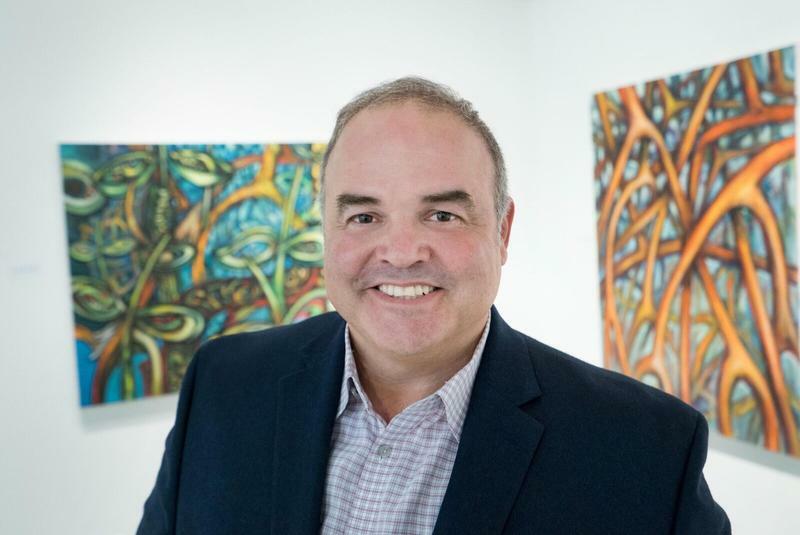 Miami artist Xavier Cortada is working with the Village of Pinecrest to create a homeowners association focused on responding to rising seas. 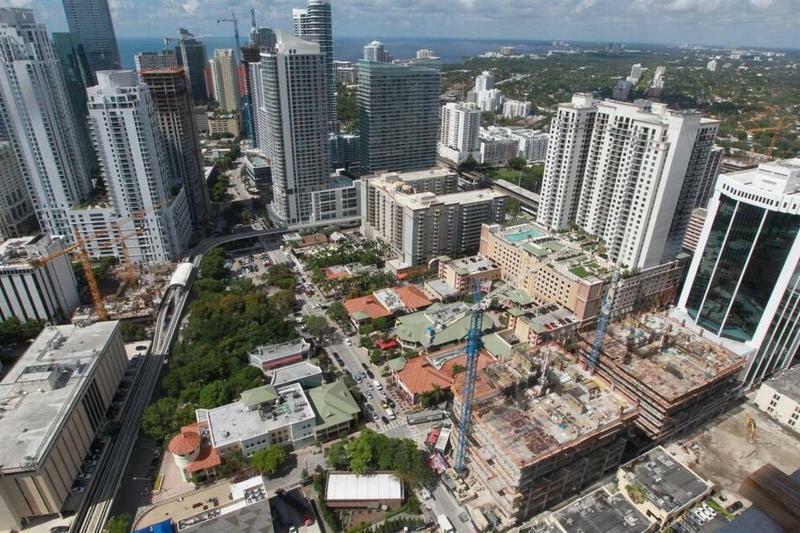 During Art Basel week, participating households will display markers with their homes' elevations. Miami artist Xavier Cortada acknowledges home ownership has its challenges. Neighbors with poor taste in exterior paint colors, for instance. But, "there's something more menacing than having a neighbor with a bright lime green coat of paint on their home," Cortada says. "An ocean. The rising sea." Cortada is a Miami native and artist-in-residence at Pinecrest Gardens. He calls sea-level rise "the crisis of our time," and much of his art focuses on a central question: What is Miami's response? He's working on a new project: an "Underwater Homeowners Association" in partnership with the Village of Pinecrest. 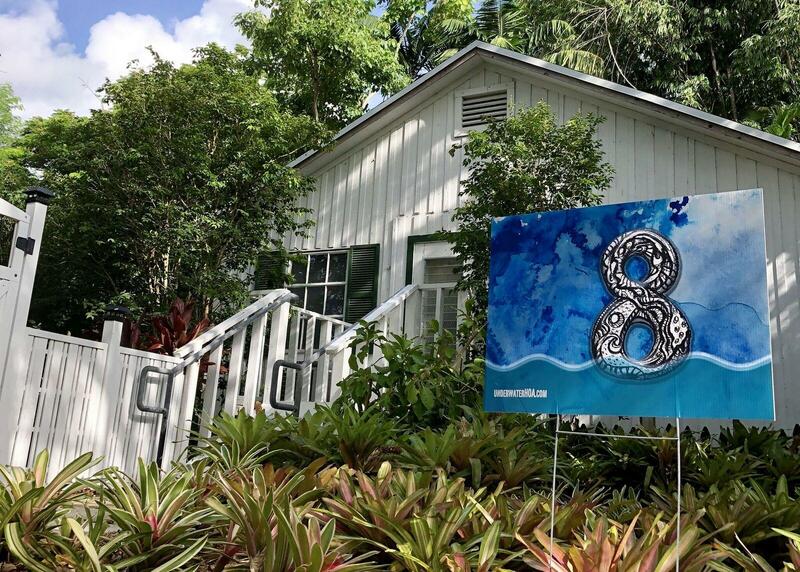 Six thousand Pinecrest households will be invited to participate by putting up special markers -- yard signs with their homes' elevations -- during Art Basel week in December. During Art Basel week, households participating in the Underwater Homeowners Association will display signs with their homes' elevations. "The important part isn’t just creating the marker; the important part is having citizens proactively decide that they’re going to put a marker in their home," Cortada said. "It’s an art project, but the art-making is the community-making." He added: "I would be happiest if the homeowners are a thriving, non-profit group with highly contested elections and all the good but also all the pettiness that you see in any homeowners group." 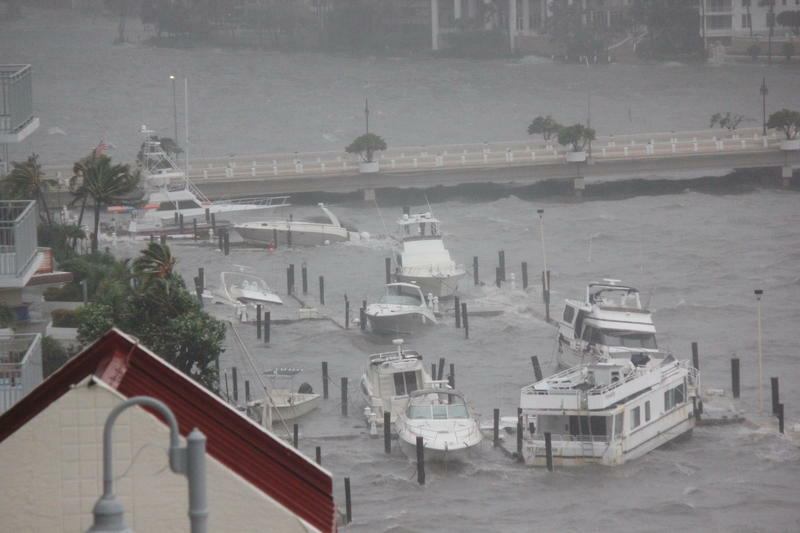 The first meeting of the Underwater Homeowners Association is scheduled for Jan. 9, 2019. 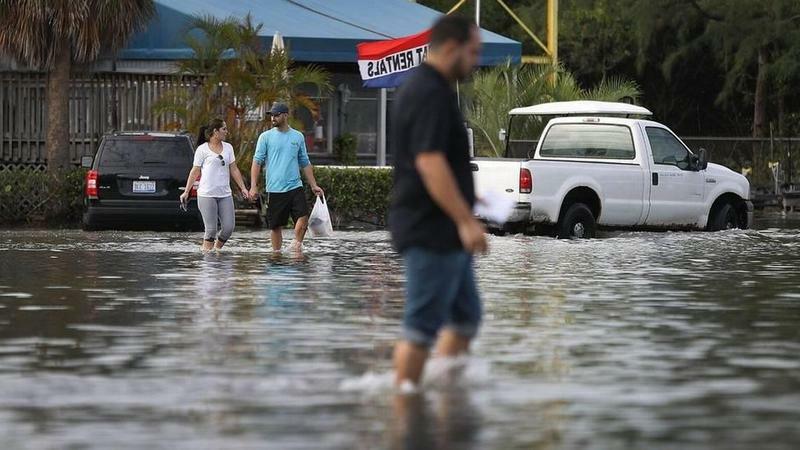 Cortada said he hopes the group will work on preparing their homes for rising seas, and will also create task forces to look at issues that affect all of South Florida -- for example, saltwater contamination of the aquifer that provides drinking water to more than six million people here. "To have that kind of robust engagement by citizens is only going to make those people that we elect more accountable, because they can’t sugarcoat the issue. They can’t just fake it," he said. To reach a younger audience, Cortada will also be working with high school students to paint elevation markers on four intersections in Pinecrest. Miami artist Xavier Cortada talks about the two weeks he spent painting in Antarctica and how the experience helped inspire the "Underwater Homeowners Association." 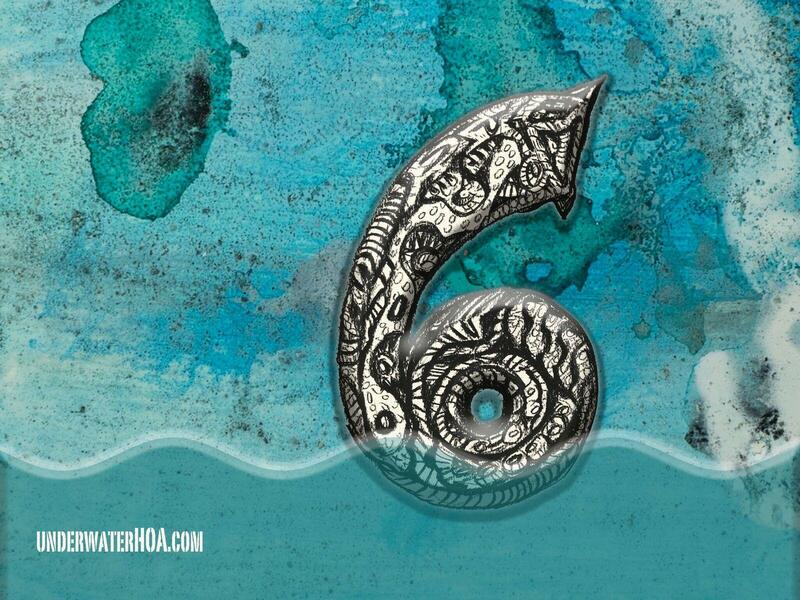 One of the yard markers for the Underwater Homeowners Association. 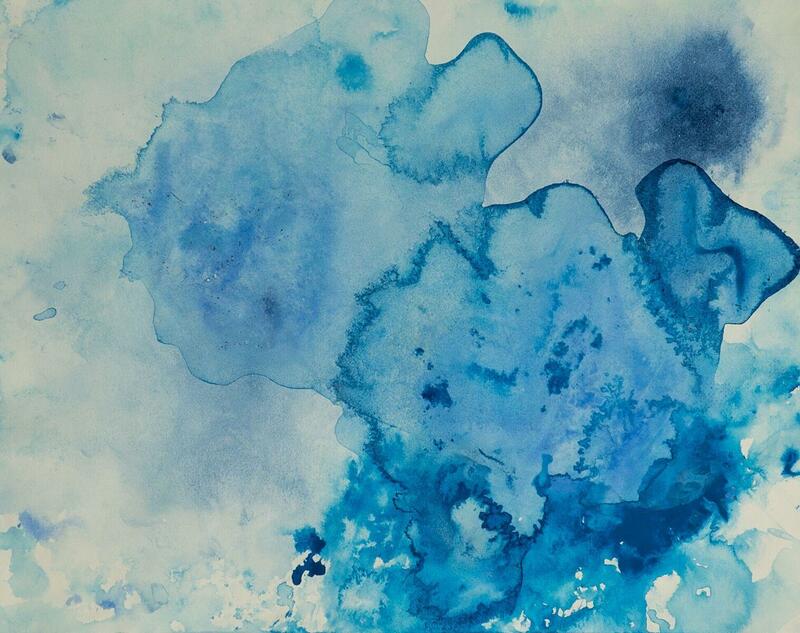 The background is one of the ice paintings Cortada created during his National Science Foundation fellowship in Antarctica. Cortada's focus on sea-level rise started 12 years ago with a National Science Foundation grant for a two-week trip: he made art in Antarctica alongside scientists researching the melting ice. "It took them [the scientists] a lot to get their equipment there. It took me a lot to get my paints there. And then we had to worry about the paints not freezing. Like, everything was an ordeal," he said. "That commitment to their work resonated with someone who has such a profound commitment to his craft. To understand all the effort involved in trying to find truth... was to me a very important eye-opener." Cortada created a mural that’s still in the mess hall at McMurdo Station, the United States research center in Antarctica. And he got the scientists to bring him ice samples from their research. He used those samples in a series of ice paintings. Sixty of those paintings will be on display at Pinecrest Gardens starting Nov. 8. Right across from my studio, there was this window and I was looking into trans-Antarctic mountains. And in my hand I had sediments from the valleys beyond those mountains that the scientists flew in by helicopter. And I had ice samples. And I was looking at that and it was in my hands. The very medium that made those mountains was in my hands. So I decided to just use them, put them on a piece of paper, and add some pigment to it and just let them melt. So these pieces I created were melted ice on paper. And these watercolors to me were the precursor of the horrors to come. If you look at them, they look like, almost like satellite images of portions of Antarctica. I went there in our winter, their summer. So it’s always daylight. So I was ON. And that’s where I was immersed. I was immersed in Antarctica being given samples of art being samples Antarctica by people who study Antarctica. But it was also meaningful because it’s from the very ice sheet melting, falling into the ocean and raising our sea levels across every coastline -- including my home. The only place I’ve ever called home. One of the paintings Cortada created using melting ice during his two-week trip to Antarctica in 2006. 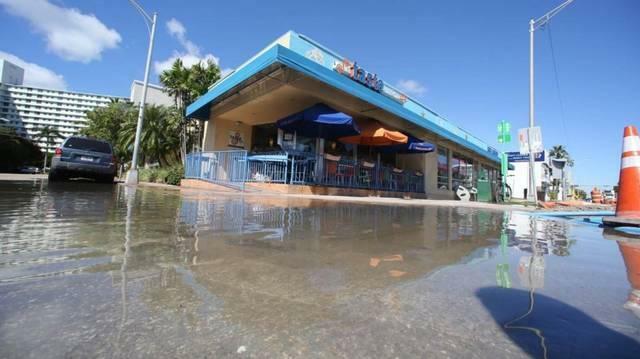 This interview was produced as part of the The Invading Sea, an editorial collaboration among The Miami Herald, The Sun-Sentinel and The Palm Beach Post, with reporting from WLRN, on the growing threat of sea-level rise to South Florida.